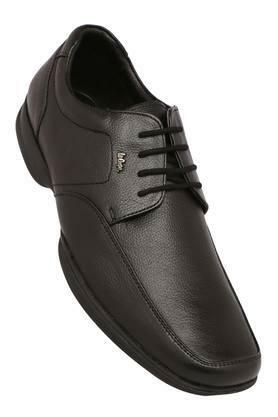 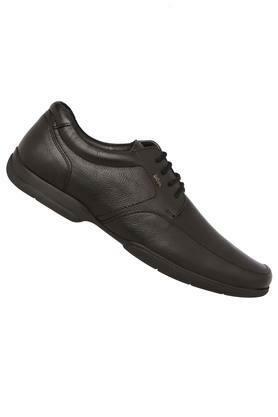 Impress everyone at your workplace by wearing this pair of derby shoes from the house of Lee Cooper. It comes with a lace up fastening, which ensures a proper fit while the leather make enhances its look. 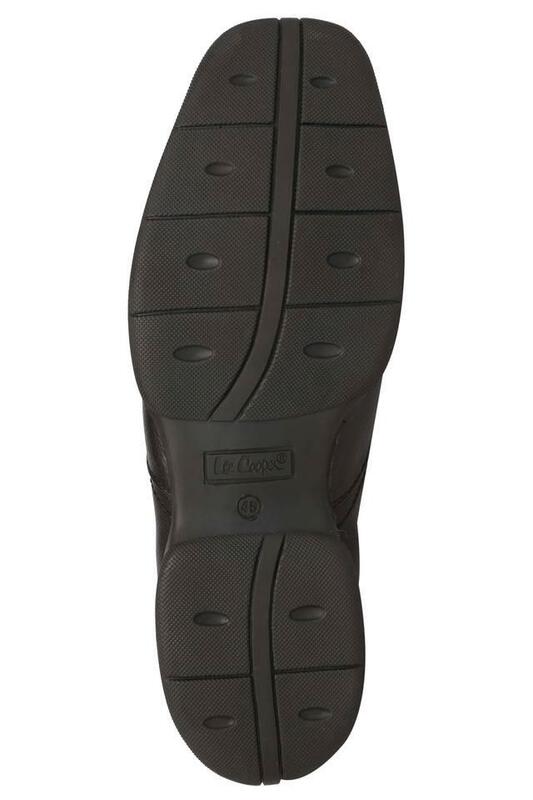 It also has a soft footbed that will keep your feet at ease for long hours. Rev up your footwear collection by adding this pair of derby shoes, which is made of fine quality leather. 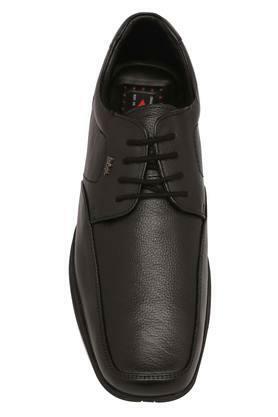 Suitable to be worn to work, it will look good with a printed shirt and a pair of slim fit chinos.